Scans use magnetic fields, radio waves or x-rays to produced detailed pictures of the inside of the body, helping your doctor to find the most exact diagnosis for your condition. CT scans use x-rays to produce images of certain areas inside the body, where MRIs use magnetic fields and radio waves. Both of these imaging tests are painless and noninvasive, although in some cases you may have an injection of contrast material prior to the procedure, in order to make the scan results clearer. Scans are typically used when the doctor wants to examine the brain and spinal cord, bones or joints, internal organs, or circulatory system. They can also provide more detailed information about the size and precise location of unusual growths or tumours. 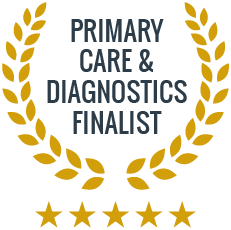 The results can help with an initial diagnosis, or provide information on how effective past treatments have been. If scanning procedure causes anxiety or feelings of claustrophobia, your doctor can provide you with some sedation. 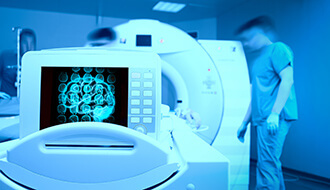 A CT scan uses x-rays, whereas an MRI uses magnetic fields and radio waves. Why does the doctor want me to have a scan? Imaging technology shows the doctor the inside of your body, which can show how internal organs are being affected, find the size and location of an unusual growth, and help provide you with a clearer diagnosis. My doctor wants me to have an MRI, but I get claustrophobic. Is there another option? We are partnered with an imaging service that uses open MRI technology, which performs the scan is a much less confined space, which can decrease anxiety and claustrophobia. If you are concerned, speak to your doctor, who can talk over with you some options for sedation during the process.